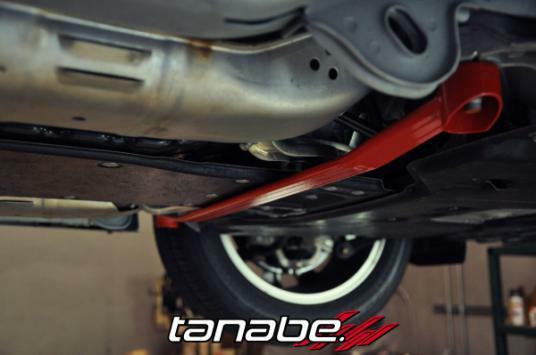 We test fitted the Tanabe Sustec Front and Rear Stabilizer Bar on the 2014 Infiniti Q50 Hybrid (RWD). The sway bar helps increase steering response and stability. 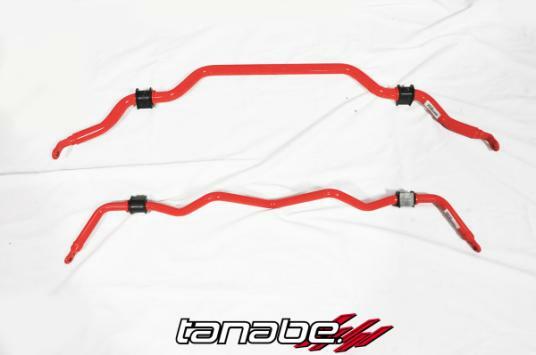 Here is the product photo for the front and rear stabilizer bars for the 2014 Infiniti Q50 Hybrid (RWD). 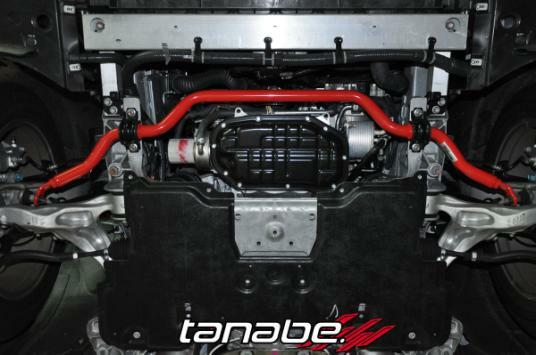 Pictured is the front sway bar installed on the 2014 Infiniti Q50 Hybrid (RWD). 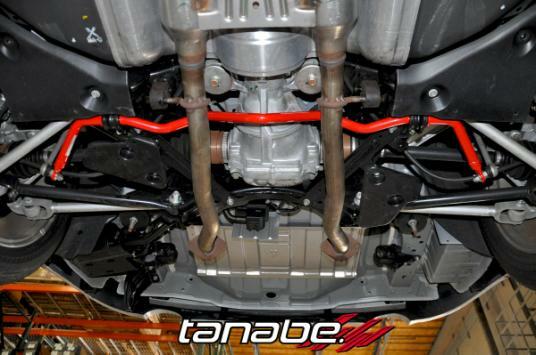 Pictured is the rear sway bar installed on the 2014 Infiniti Q50 Hybrid (RWD). 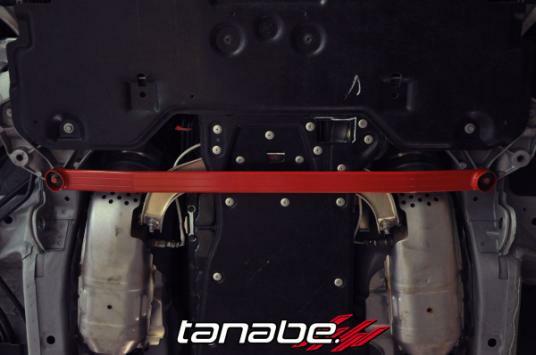 We test fitted the Tanabe Sustec Under Brace on the 2014 Infiniti Q50 Hybrid (RWD). 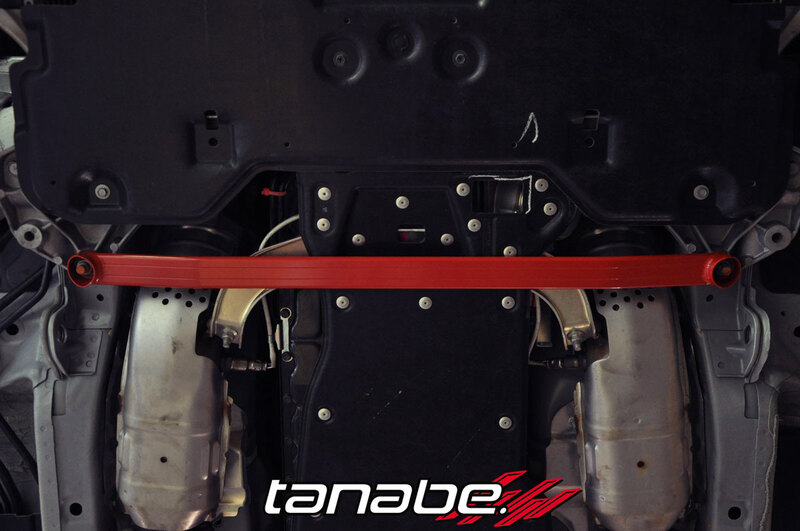 This 2-point brace helps reduce chassis flex and increase stability. 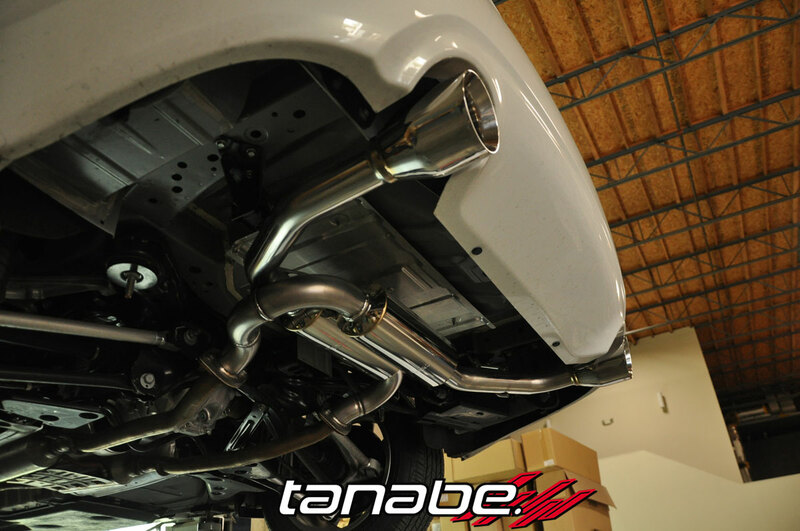 We test fitted the Tanabe Medalion Touring Exhaust on the 2014 Infiniti Q50 Hybrid.